Rhode Island Avenue, that busy byway linking NE and NW and the capital’s inner suburbs in Prince George’s County, is getting a 21st century upgrade, thanks to new development projects designed to change the avenue’s face and feel. Earlier we reported on MRP Realty’s plan to construct the Rhode Island Avenue Center, a seven-building, 1550-unit complex, said to be DC’s largest residential development in years. Now, MidCity, a property owner, developer and investor for more than 40 years, has unveiled plans for a 20-acre, mixed use development on the Rhode Island Avenue corridor, dubbed RIA. This project is in a very different neighborhood from other developments in the area, explains MidCity EVP Michael Meers. The others are closer to the Rhode Island Metro station and consist of a variety of uses and buildings, including churches, fast food restaurants and other retail. RIA is just four blocks up the hill from the Metro stop in a more residential setting amid very established single-family communities such as Brentwood, Langdon, Brookland and Woodbridge, Michael says. That’s him on the left, next to Abiodun James, Debra Todd, Patrick Hickson, and Edgewood Management’s Darcia Young. 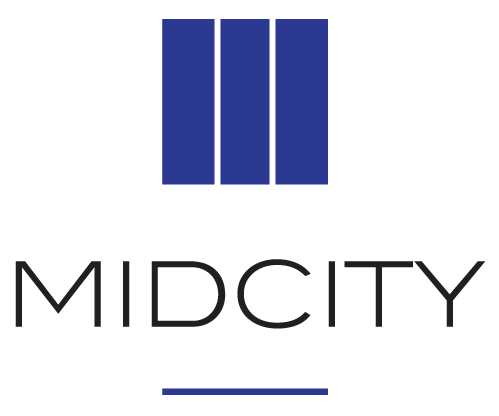 With approval in hand from the DC Zoning Commission and architect and planner Perkins Eastman on board, MidCity’s first phase is scheduled to begin in the second half of 2017 following demolition of the Brentwood shopping center in late 2016. Phase 1 will consist of replacement housing for existing residents including 200 units of affordable housing for seniors. This initial project will set the tone for what follows, Michael says, and there is already buzz from prospective retail outlets. Ultimately, RIA will provide 1,760 residential units and up to 181k SF of commercial space, including an approximately 55k SF supermarket and other retail. No building will be taller than 65 feet. Residents and visitors will enjoy a one-acre community green and a half-acre pedestrian plaza as well as a new, connective and walkable street grid that includes four new streets to connect old and new access points. “More than anything we wanted to create a community of different housing types,” Meers says. “From affordable rate housing to market rate housing, from a flat to two-over-two townhomes.” MidCity has owned the property for some four decades. On Aug. 1, 2017, the mortgage will be paid off and all encumbrances will be terminated. But MidCity has elected to retain the project-based Section 8 Housing Assistance Payment contract that provides rental assistance to 373 families, 200 of them to be housed in a 62+ senior building. The affordable housing commitment of 22% of the units is almost three times the 8% requirement mandated by DC under its Inclusionary Zoning requirements, Michael explains. The decision to exceed the requirement is a tribute to the philosophy and vision of company founder Eugene Ford, who died Oct. 21, 2015, at the age of 86. His entire career was dedicated to affordable housing, Michael notes. “He was very cognizant of the city’s recent affordable housing crisis and wanted to make a meaningful commitment.” Michael adds that if MidCity opted out of Section 8, “the city would lose that affordable housing, probably forever.” MidCity hasn’t been front and center in becoming a household name, despite its many years of active involvement in DC development. Asked why, Michael again cites Eugene, who in 1989 shifted his attention to the creation of the Community Preservation & Development Corporation, a major DC nonprofit. 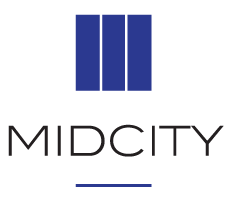 MidCity made only a handful of deals and a few acquisitions during the last 15 years or so, especially after Ford retired from the company. That’s changing in 2016. MidCity is altering its focus to redevelop and renew its portfolio of properties, Michael tells us. “We’re a very private company and we don’t choose to ‘over-share,’ but we recognize it’s important to be a visible part of the community.” So MidCity intends to be invested in RIA for decades and generations. In fact, MidCity will make a number of announcements in coming months as RIA takes shape, Michael tells us. So keep reading Bisnow where you’ll hear it first.